I need to spend more time with my friends! In my twenties it felt like I spent a lot of time with my friends. 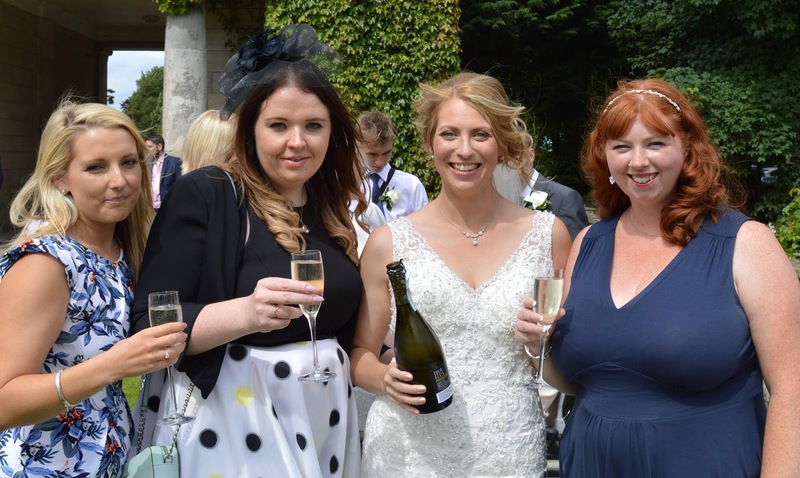 Despite having three children myself, most of my friends didn't have children and nights out, girly spa days, shopping trips and cheeky weekends away were pretty common. Now I'm in my thirties and most of my friends have caught up and have families of their own. Trying to negotiate child care for multiple families can be an absolute nightmare at times. Add to that shift patterns, caring & work commitments and it's no wonder I only get to grab a coffee with my friends every couple of months. Recently, I've noticed that gaps between meet-ups with my friends have been getting longer and longer and I am determined for us to all make the effort and see each other more often and I mean proper quality time and not a quick coffee here and there. Every month I am going to make a determined and conscious effort to organise some proper quality time with my friends. Spending time with the girls is good for my soul and something I definitely need to do more of! Next month, I have organised an actual night out in Newcastle with my oldest school friends. I have been wracking my brain trying to remember when the last time this was and I honestly don't know.I think it was as long as 5-6 years ago. Maybe even longer? 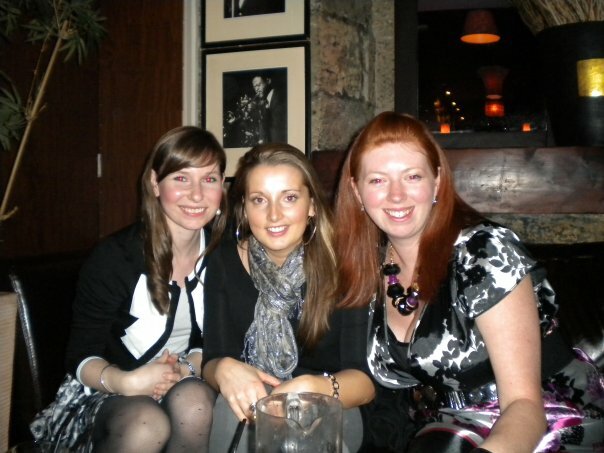 (I have just checked and Facebook tells me it was actually March 2010) Granted we're going out on a Thursday rather than a Saturday and we'll be looking for quiet bars with quality cocktails and a place we can sit down and chat rather than a wild night out in the Gate - but a night out is still a night out right? and I am really looking forward to it. Please let me know if you have any bar recommendations that suit our requirements. I have grand plans to book something new every month and my ideas so far include a shopping trip (I actually think it's been 10 years since my last girly shopping trip), an Easter day trip with the kids somewhere, dinner at a nice restaurant and a trip to the theatre. I can't wait to get planning! In April I have booked a dinner with my oldest friend Joanne so I'm already sticking to my new resolution! It seems I'm not alone in my thinking and last week, Chloe invited me along to her house for a girly get together with Afternoon Tea (she was testing it out for blog purposes - you can read more over on New Girl in Toon). I don't need an excuse to say yes to Afternoon Tea but this invite was to try Afternoon Tea with a difference. 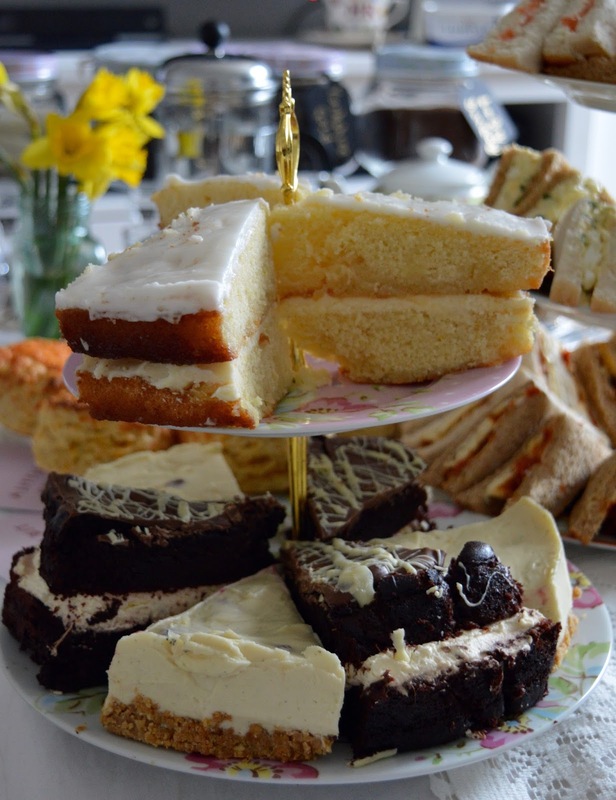 Provided by Mrs Dellows Delights, this Afternoon Tea is delivered directly to your home or venue of choice (delivery is free within 10 miles of Chester le Street and chargeable after this). You honestly will not believe their prices! 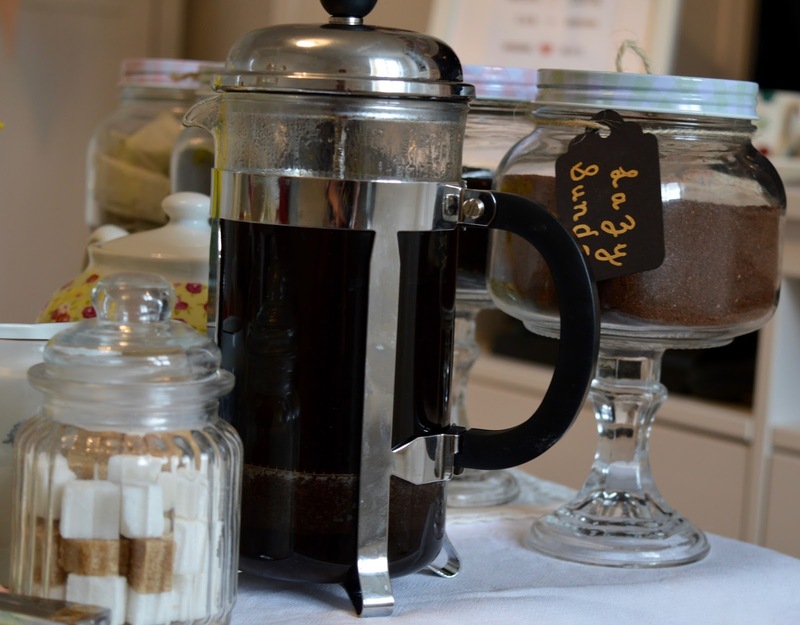 Afternoon Tea can be delivered from just £9.95 per person! 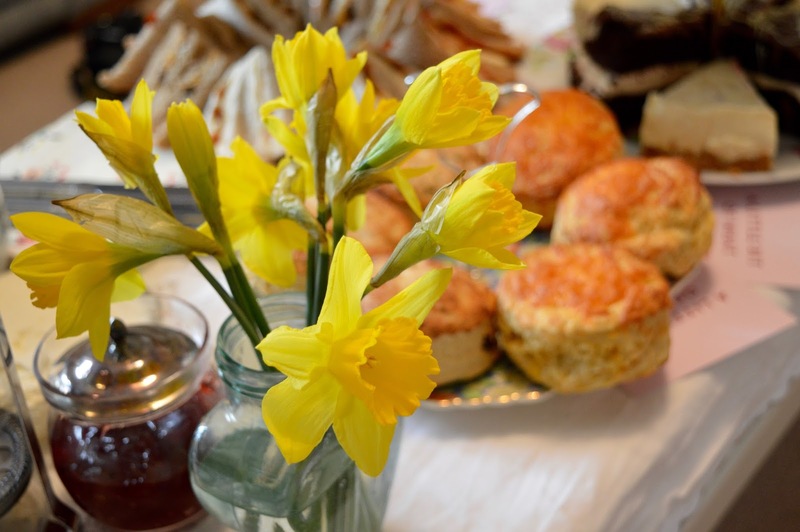 This includes everything from coffee to table linen, vintage teacups and of course delicious homemade food. 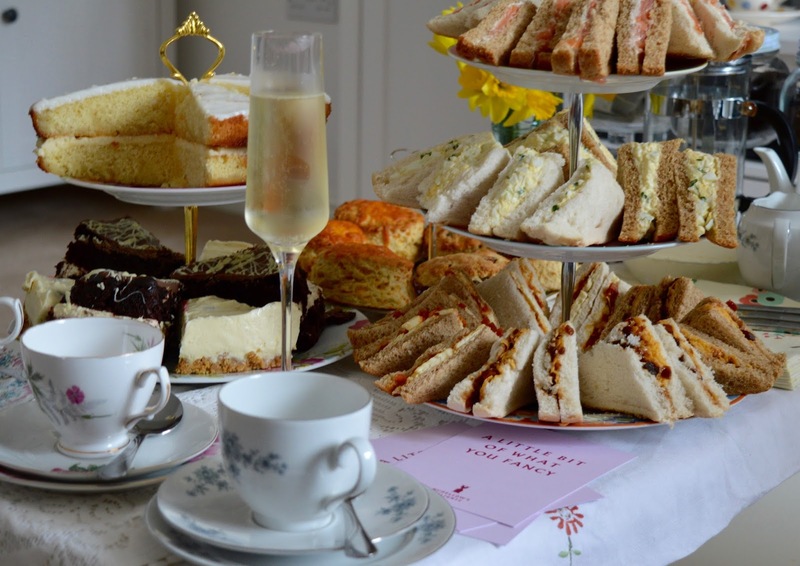 You can check out Mrs Dellows various Afternoon Tea packages here. If you want to get together with friends but are too skint for a proper night out (or are supposed to be sticking to Frugal 2017 like me) or you can't find any childcare (let the kids join in or send them upstairs), I honestly can't think of a better way to get together. We spent a glorious few hours in our slippers, sipping Prosecco, helping ourselves to one too many cakes and having a good old catch up. 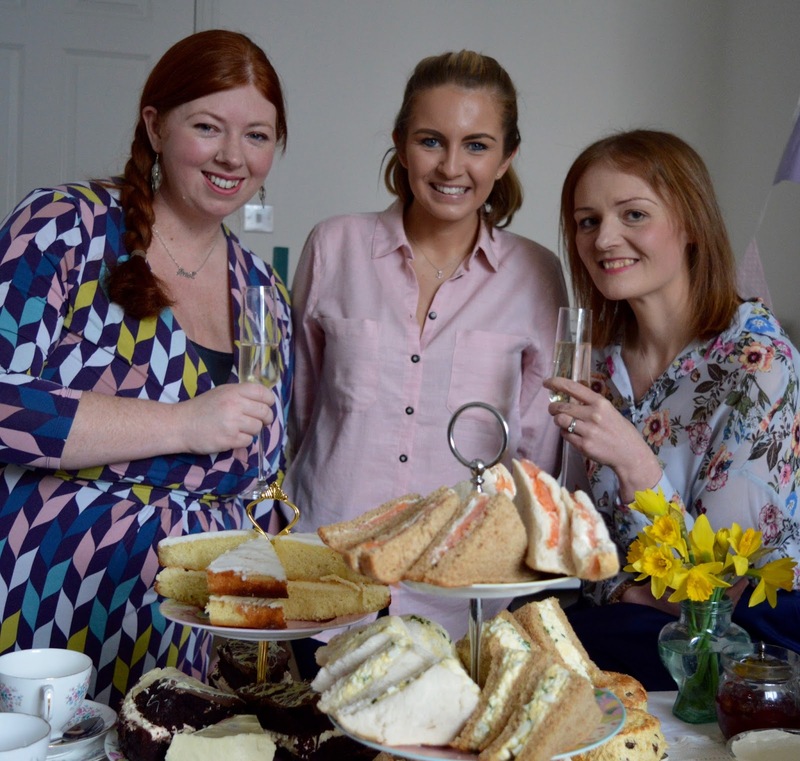 I think this Afternoon Tea would be PERFECT for a hassle-free baby shower/ hen party/ christening/ birthday celebration but at these prices I honestly don't think you need an excuse and should just book Afternoon Tea to be delivered to your home so you can have a good catch up with your mates. The food was all homemade and delicious - I am still dreaming about that white chocolate and raspberry cheesecake! There was far too much for the three of us so we all packed up goody bags to take home which I shared with Steve and the kids for supper who now all now think I should head out without them on a Saturday afternoon more often! haha! The service we received from Mrs Dellows was absolutely spot on too - they set everything up, provided us with every single item possible (including napkins and cutlery) and delivered and set up the afternoon tea for us and then arrived back a few hours later to take all of the crockery back to Mrs Dellows HQ - lucky Chloe didn't even need to tidy up! I aim to start a bit of a mini series with a few different ideas featuring places to visit/activities to enjoy with your friends across the North East. Please let me know if you have any suggestions or if you fancy guest posting for us if you try something fun with your friends. You can find our more about Mrs Dellows Delights here. I'd recommend Glasshouse on Dean Street, not sure if you've been but it's sophisticated yet chilled and they do some lovely cocktails. You will get a table no problem on a Thursday. Enjoy your night! I totally know what you mean. It's so hard to get together these days and I feel like I need it even more. I make sure I organise girly catch ups regularly. I'm definitely going to do this afternoon tea one time I can't get a sitter, it means I can still have the special girls time and the kids can play around us.